If you've decided that it is time to finally quit smoking you've come to the right place. A major study involving almost 72,000 participants found that hypnosis was more effective than alternative quit smoking methods such as self-care, nicotine gum, acupuncture, adverse plans and education methods (Viswesvaran & Schmidt, 1992) . Additionally a study of 71 smokers who quit smoking using guided imagery found that participants were twice as likely to remain smoke-free than those who quit using counseling and educational sessions (Wynd, 2005). So why is hypnosis so effective*? What many people don't realise that over 80% of our decisions are made subconsciously. This means that many of the decisions that we think we have conscious control over, we actually don't. When it comes to habits such as smoking the subconscious mind plays an important role in maintaining the habit, and this is where hypnosis is so valuable. By working with the subconscious mind hypnotherapy gets to the heart of the issue and changes the automatic behaviour that sustains habits such as smoking*. Put simply, habits are maintained because the subconscious associates certain things we do with getting a reward. If this part of the brain associates smoking with reward it will continue to do everything it can to encourage you to continue - even if it is against your better conscious judgement. This is why so many people feel powerless to stop, even though they know deep down that they are slowly poisoning themselves. Working with the subconscious is much more simple than it sounds (see Why Hypnosis?) and the quit smoking hypnosis is conducted over just two sessions. The important thing is that you want to quit. Once you have made that decision you will be amazed at how quickly you can transform your life*. Nail biting is a common habit which often starts in childhood. 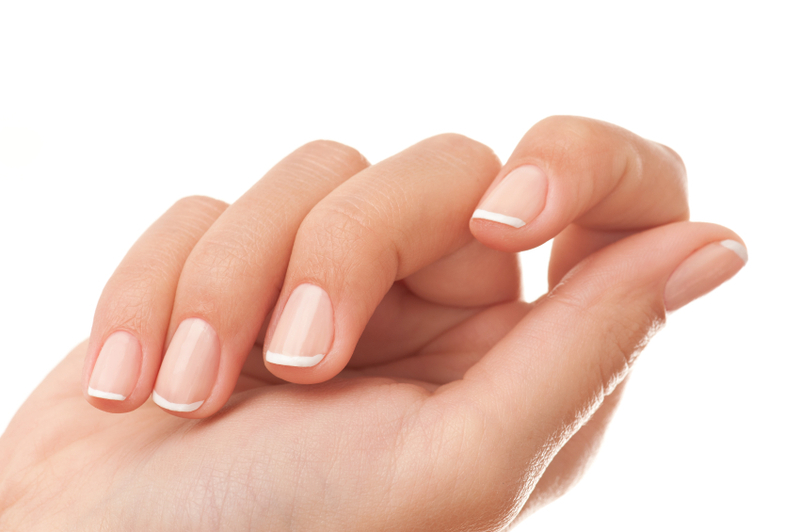 In much the same way as smoking, nail biting can be quickly resolved using hypotherapy. Nail biting is usually a subconsciously generated activity that takes place as a response to some kind of anxiety. Sometimes the situation that caused the original anxiety may have long since passed but the habit remains because it has become kind of automatic behaviour. Many people that bite their nails may not even realise they are doing it until someone points it out. This is where hypnotherapy is so valuable because it works with the subconscious mind to change those behaviours that we do not even realise we are doing. By making suggestions under hypnosis the subconscious mind can be persuaded to stop the habit and replace it with much more useful behaviours*. Thumb sucking, like nail biting is a behaviour that generally develops in early childhood. In fact, ultrasounds have now revealed that thumb sucking may often start pre-birth in the womb. Thumb sucking begins as a self-soothing, therepeutic action which then develops into a habit. Because the brain associates the behaviour with comfort it becomes automatic (i.e. controlled by the subconscious mind). When thumb sucking continues into late childhood and adulthood it can cause dental issues as well as becoming a source of embarassment. Hypnotherapy can be very effective in the treatment of thumb sucking because it helps the subconscious mind to change the automatic nature of this behaviour (Grayson, 2012)*. Suggestions can be made to the subconscious that the comfort which this habit provides can be found in other ways. Treatment for thumb sucking is often very effective and a significant change will usually be seen in just a few sessions*. Much like the habits discussed above, compulsive skin picking can be treated effectively with hypnotherapy. Generally this habit devlops in response to some kind of anxiety and performs a self-soothing, comforting role. Skin picking, also known as dermatillomania, can often be something that has become so automatic that the individual doesn't even realise they are doing it. This is because, like all habits it is controlled by the subconscious part of the mind, and this is where hypnotherapy can help*. Skin picking becomes a habit because the brain associates the picking of the skin with some kind of reward. A powerful neuro-chemical is released when the skin is picked and this chemical is associated with pleasure. The brain therefore assumes that picking is a "good thing" because it gets a surge of chemical pleasure every time the skin is picked. As a result the brain wants to repeat the habit, particularly if it feels deserving of reward or comfort. Hypnosis works with the subconscious part of the brain to change the way the brain associates picking with pleasure and reward. It addresses any underlying issues that may have caused the picking to start in the first place and changes the pattern of behaviour for good*. Hair pulling, also known as trichotillomania, involves the compulsive pulling of ones own hair. Much in the same way as skin picking, this habit tends to develop in response to some kind of anxiety or stress and performs a self-soothing, comforting role. For many people hair pulling can become so automatic that they don't even realise they are doing it. This is because, like all habits it is controlled by the subconscious part of the mind, and this is where hypnotherapy can be of great value*. Hair pulling becomes a habit because the brain associates the pulling of the hair with some kind of reward. A powerful neuro-chemical is released when the hair is pulled out and this chemical is associated with pleasure. The brain therefore assumes that picking is a "good thing" because it gets a surge of chemical pleasure every time the hair is pulled. As a result the brain wants to repeat the habit, particularly if it feels deserving of reward or comfort. Hypnosis works with the subconscious part of the brain to change the way the brain associates hair pulling with pleasure and reward. It addresses any underlying issues that may have caused the habit to start in the first place and changes the pattern of behaviour*. Contact Kate today and she will arrange a free initial phone consultation with you. Viswesvaran C1, Schmidt FL. (1992) A meta-analytic comparison of the effectiveness of smoking cessation methods. J Appl Psychol. Aug;77(4):554-61.